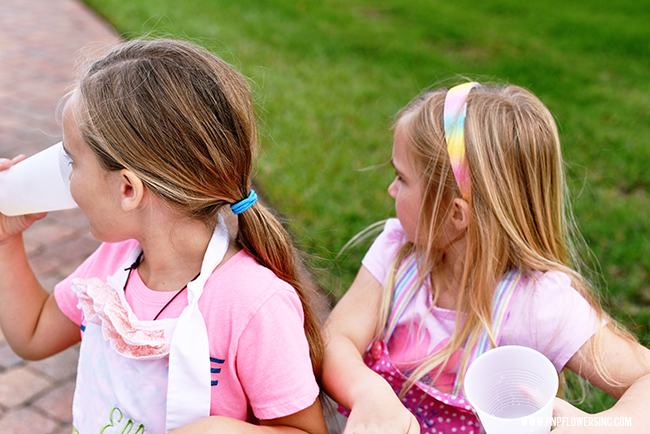 Lemonade stands are the best! Aren't they? 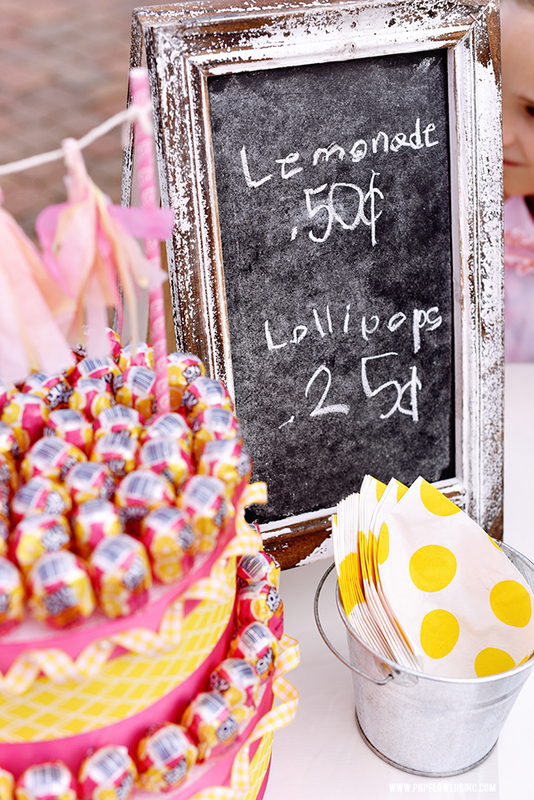 But how about a lemonade + lollipop stand? Even better!! Yep! 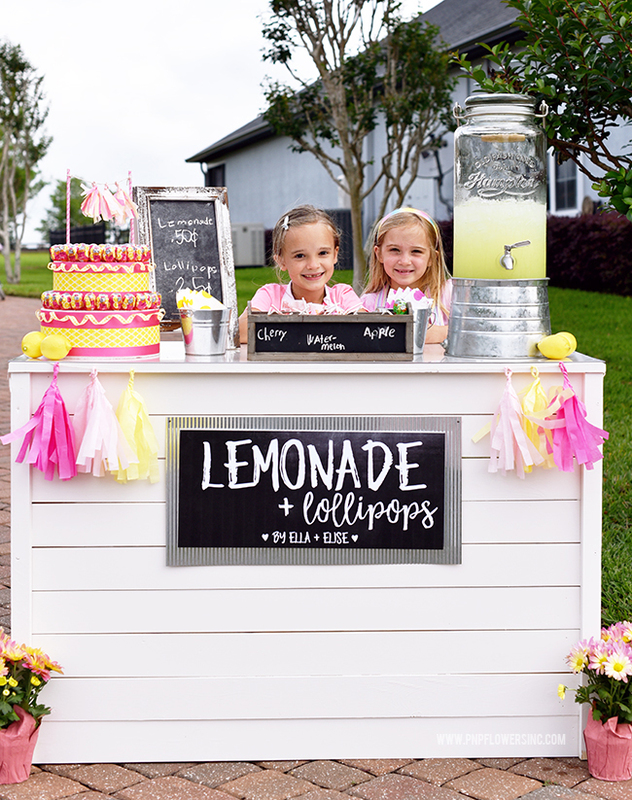 Ella and her best friend Elise set up a lemonade and lollipop stand this past weekend and these little entrepreneurs did quite well together! Our neighborhood was having a community garage sale so it was the perfect opportunity for them to sell their little hearts out! 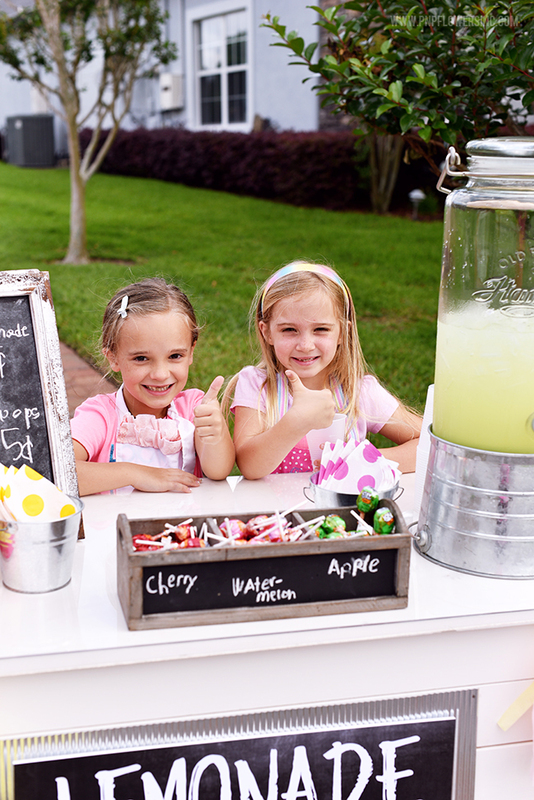 Lucky for them, I had been working on a project for Hershey that allowed me to build the lemonade stand they used. 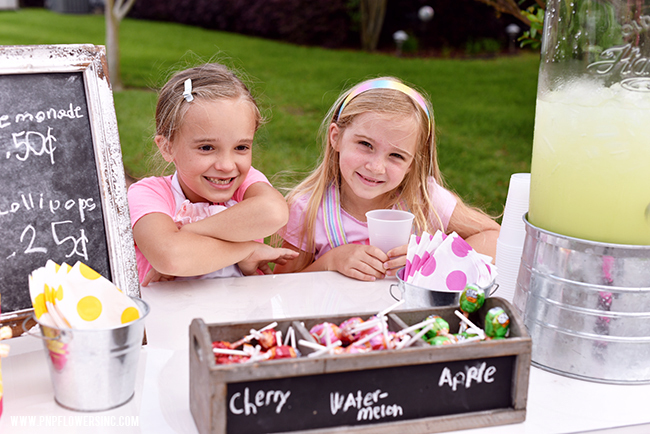 My Hershey project and photos were due on Friday and the girls turned right around on Saturday and used the stand for their Lemonade + Lollipop stand. 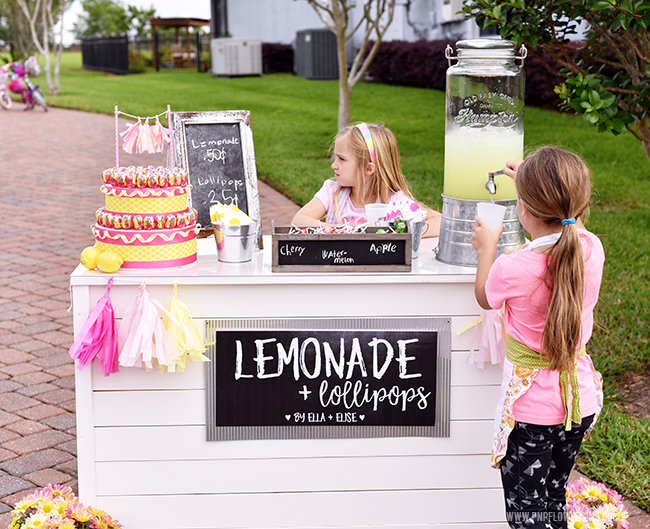 DISCLAIMER: I did NOT build this lemonade stand all on my own. My stepdad came to the rescue and helped bring this to life. We worked together all while teaching me how to use a power saw, cut 45º angles and learn how to use and load a nail gun. 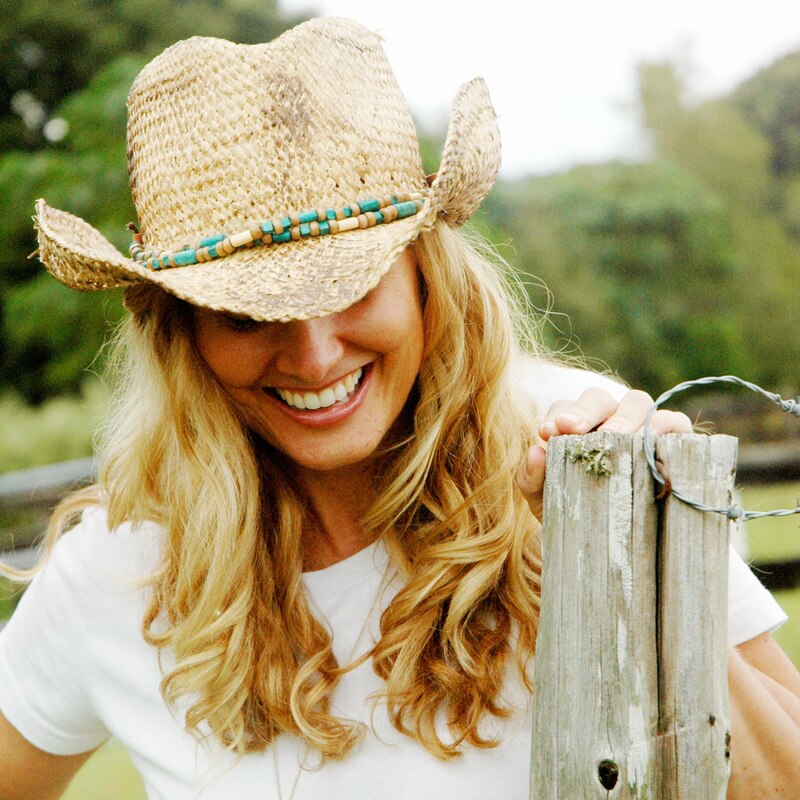 I feel so empowered...because those skills are going to continue to come in handy for other projects down the road! Thank you Rick!! 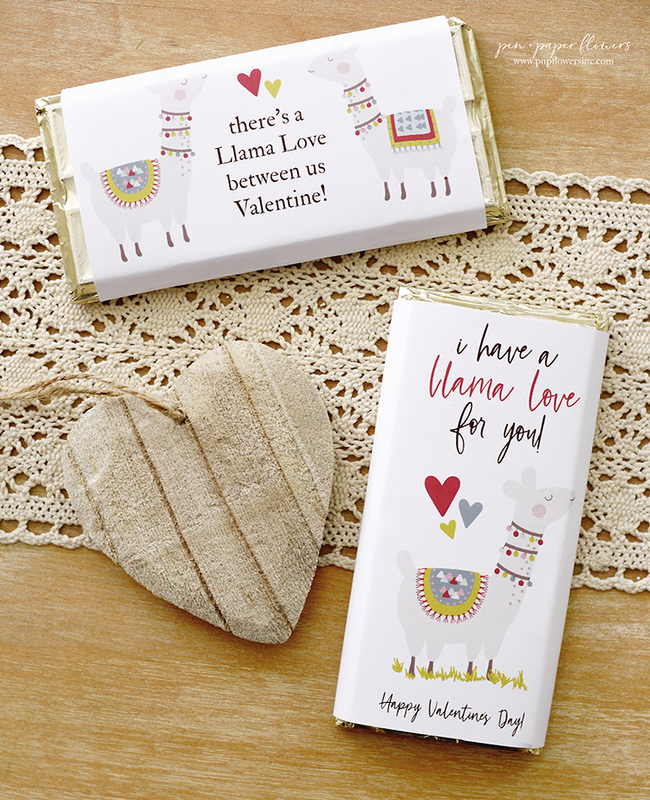 Anyway, I thought you'd appreciate a peek at their adorable little stand! The metal piece on the front came from Hobby Lobby and then I created a chalkboard sign, printed it at Office Depot, (and had them mount it onto foam board too). Then I added some strong magnets to the back to secure it to the metal. LOVE it. Why would I go through the trouble and expense of building this stand when I could have easily covered a small table with a table cloth? actively used in my studio and pulled out as needed for lemonade (and lollipop) stand use. I thought it'd be fun to share this with you and that you'd love the turnout! 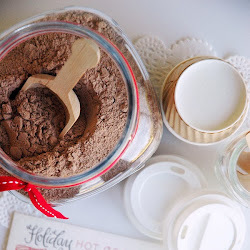 I'll be sharing the full Hershey project I did using the stand. 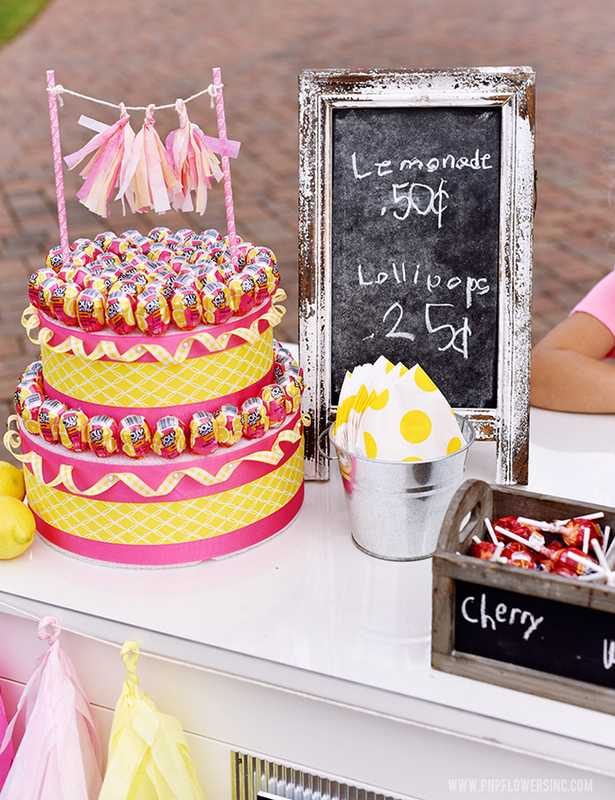 Including the DIY for the "lollipop cake" you see in these photos. The sources for supplies and materials are listed below if you are curious. Have a fantastic day my friends!! - Lollipop Cake - Pen + Paper Flowers - tutorial coming soon! I was a complete freak on Wednesday + Thursday, prior to the Saturday the girls were setting up their stand. 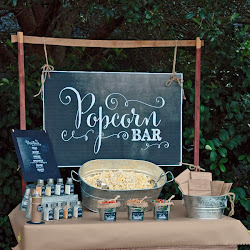 I was in the middle of trying to finish up the three projects for Hershey but I also really wanted to have the metal on top of the stand so it would blend nicely with the metal backing for the sign AND I wanted to make sure I had something to protect the table from spills and sugar and stickiness! So I found myself calling numerous businesses and driving around trying to find a place that could accommodate my request. After several stops, I finally decided to let it go and just figure all that out AFTER the fact. Plus, my stepdad had a connection for the plexiglass and managed to get that to me on Thursday night! Phew! Yay!! 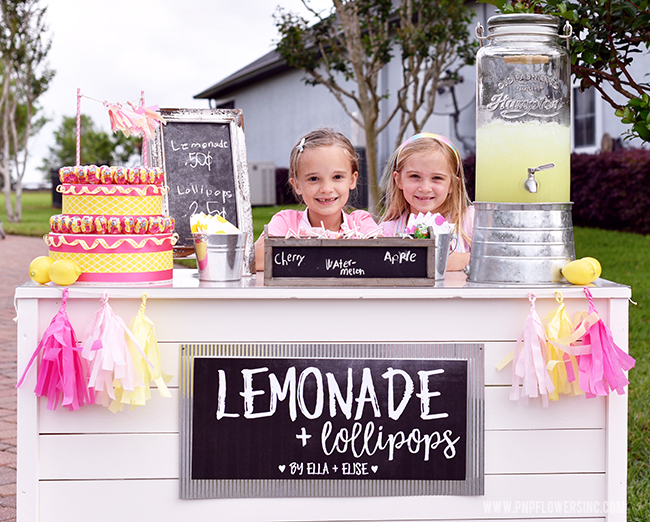 Jessica, I love the lemonade and lollipop stand so much and great idea to use the stand for your crafting projects. Oh my and I love the apron she was wearing. Too cute. Ella is very lucky to have you for her mom!